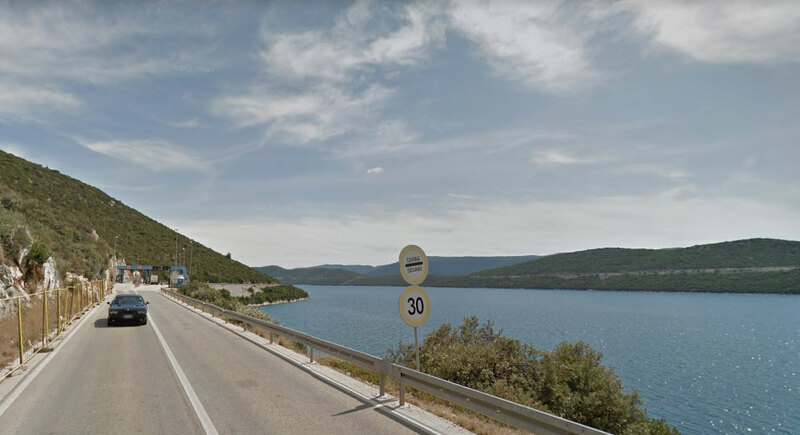 Bosnia has a 20km Adriatic coastline – the road is about 10km. I have been enjoying the wonderful Mostar Sevdah Reunion for more than a year now. I wish I could remember how I came across them in the first place. I’m pretty sure the first song I heard was Čudna jada od Mostara grada. The Warsaw version [YouYube video] is probalbly best known, but this [YouTube video] from 2012 has so much atmosphere. Mostar Sevdah Reunion define what I am looking for on this journey. MSR and Ireland’s Horslips are my guides. The question I am asking is “Who are the Horslips of Montenegro, who are the Mostar Sevdah Reunion of France? I can’t be sure, but I think I encountered Amira Medunjanin a little over a year ago, just before hearing MSR (with whom she made her first recording). Again, her music is a defining guide to what I am trying to find on this escapade. But I have discovered some more even more brilliant music and musicians. Two current favourites are Božo Vrećo and Halka (two separate but linked entities) and Damir Imamović Sevdah Takht (Damir is sort of my Rory Gallagher of Bosnia). They key here might not be the band, but the producer. Dragi Šestić who was worked with all those musicians. See the Wikipedia page for more details of artists including “Louis – Ljubisa Stojanovic nicknamed Louis (after Armstrong) is probably the best-kept musical secret of the Balkans.” [link] – although I don’t know whether Louis is from BiH I will let him sit here rather than miss him altogether. Azra are Yugoslav band from the 1970s – punk I suppose. There are many good punk and 1980 electro bands from the former Yugoslavia. I have no intention of reviving punk here – although there is a temptation – but this is a small encapsulation which rings true here in 2018 in leafy north Down. Bijelo Dugme (White Button) are also from the pre-punk, punk and post-punk era – long hair, shirtless and in denim on an early album cover, but with a Bosnian influence. Another modern band which I am really taken by is Divanhana. The five-piece from Sarajevo Music Academy “released traditional music in new arrangements created under the influence of jazz, pop and the 20th century classical music. Divanhana’s intention is to present the urban traditional music, not only from Bosnia and Herzegovina, but the traditional music from the whole Balkan region, with a particular accent to Sevdalinka.” They are highly accomplished musicians. Perhaps a bit “smoother” than some other bands on this list. Having been “stuck” in B&H for over a month, and with the expectation that I would enjoy the music here, I “leave” with several bands added to my favourites and probably half a dozen “best of the region” albums. I have become distracted. Christmas books – a John Connolly Charlie Parker book. I missed its publication of A Game of Ghosts in April 2017. I have something of a Charlie Parker obsession, so once I finished the new book, I turned to the previous book, A Time of Torment. Books with a B&H connection were forgotten. Not that I had stopped buying them. In my Kindle I have a chapter of Andrej Nikolaidis’s The Coming. Another sample Twice Born by Margaret Mazzantini (born in Dublin, lives in Rome – a hangover from the Italy section of this trip) and Geopolitics of the Balkans and Beyond, Dr. Filip Kovacevic. On my shelf The Lodgers, Nenad Veličković which I have started and looks very promising, Sarajevo Marlboro by Miljenko Jergović. is not begun. But at least I have started and am enjoying Sarajevo Blues by Semezdin Mehmedinović. On balance, probably too many books about the siege of Sarajevo. Clearly my reading will drag behind my listening. So be it. This is about enjoying the books and the music. Let each of them set their own pace. 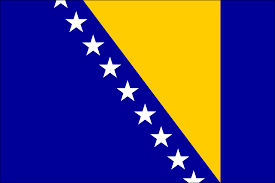 But time to drag myself away from Bosnia and Herzegovina. Serbia, Kosovo and Macedonia are not on the Mediterranean coast. I’m interested in going there. But like the islands of the Med, perhaps I will leave for another time. I am equally eager to investigate Montenegro and Albania. Then on to Greece, Turkey and the middle east before traipsing across north Africa.